Lam Kam Sang BRAININ rapidly strengthens the memory, logical thinking and cognitive-flexibility by promoting the supply of blood and oxygen to the brain cells. It also enhances the mental discipline and attention power, reduces the fidget feeling and improves the character. It can be rapidly dissolved, absorbed and efficacy can be attained in 30 minutes. Lam Kam Sang BRAININ is definitely a valuable product for students and professionals for promoting examination results and working performance. Lam Kam Sang BRAININ is effective in slowing down the degeneration of the brain cells with obvious effect. It is healthy and without any side effect. 90 capsules Made in Hong Kong. Mori Fructus, Chuanxiong Rhizoma, Salviae Miltiorrhizae, Radix Et Rhizoma, Radix Polygoni Multiflori Preparata etc. 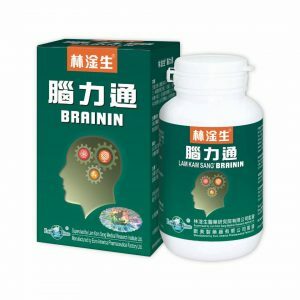 Every capsule of Lam Kam Sang BRAININ contains 400 mg extract of the above Chinese medicines. 1. Improves the brainpower development from the children to the postgraduates, the effective rate is over 99%. 2. Strengthens the memory and concentration to promote the learning and working efficiencies. 3. Maintains a clear mind during meeting and examination, keeps your brisk thinking power and handling power in the best condition. 4. Rapidly eliminates the fatigue of the brain and reduces the injury to the health caused by mental pressure. 5. Obvious awaken function for those who are suffering from serious degeneration of the brain cells. Attains desired effect in 1 hour, brainpower obviously improves in 10-30 days of course. 1. For healthy development of the brainpower from kindergarten student to university graduate, the effective rate is over 99%. For achieving best effect, takes Lam Kam Sang® BRAININ 2 times a day for the first 30 days, then takes 1 time a day for the next 60 days. For those with congenital deficiency of brainpower, a longer period of dosage is needed. 2. Continuously taking Lam Kam Sang® BRAININ 30 days before student examination or professional promotional test, 2 times a day until the end of the examination can obvious improve the speed and quality of studying. It can also maintain the clear and sharp thinking power during examination, and reduce the mental pressure which may be harmful to the health within this period. 3. Taking 8 capsules of Lam Kam Sang® BRAININ after long period of hard working or studying can relieve the fatigue and regain the energy back to normal in 30-40 minutes. 4. Taking 8 capsules of Lam Kam Sang® BRAININ 1-3 hours before any speech, debate or negotiation can clear and sharpen the mind and strengthen the handling power. 5. For people of middle-age and over, after continuous treatment of Lam Kam Sang® BRAININ for 30-90 days (choose the appropriate treatment according to the degree of degeneration), change the dosage to 1 time a day henceforward can improve the mental power and restrain the degeneration. 6. 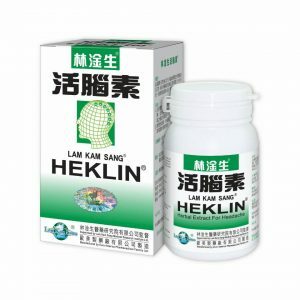 Taking Lam Kam Sang® BRAININ 2 times a day during the early stage of degeneration, the effect can be achieved in 20 days. After the symptom is stabilized, the dosage can be changed to 1 time a day; but in some serious cases, takes 2 times a day are still needed. The effect is excellent and beneficial to health. 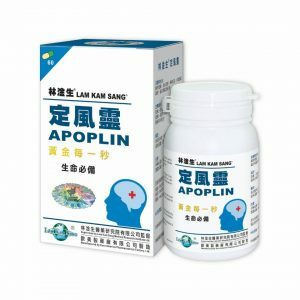 Lam Kam Sang® BRAININ can be taken simultaneously with the western medicine; if the symptom is improved, the dosage of western medicine can be reduced accordingly. 7. Clinically proves that Lam Kam Sang® BRAININ is safe for patients who have heart disease, hypertension, hyperglycemia, melancholia and chronic enterogastritis. 8. Stop taking the medicine temporarily when having cold, fever, or acute infectious diseases. 9. Long term clinical practices have proved that Lam Kam Sang® BRAININ absolutely has no side effect and is highly beneficial to health. *The treatment effects listed are earned from clinical experience. But due to the influence of personal physique, health condition, potential illness, life style and habit or condition and so on, the treatment effects can be varied for individual patient. Therefore, they cannot be treated as absolute guarantee. over 50-60 kg, 6 capsules each time. over 60 kg, 7-8 capsules each time. below 10 kg, 1 capsule each time. above 10-20 kg, 2 capsules each time. above 20-30 kg, 3 capsules each time. above 30-40 kg, 4 capsules each time. above 40-50 kg, 5 capsules each time. To be taken 2 times a day; 1 time a day for long-term user. Discontinue treatment temporarily during a cold or fever.